We will be sharing our positive experience of visiting the Northern Baja Gerson Centre in Mexico. 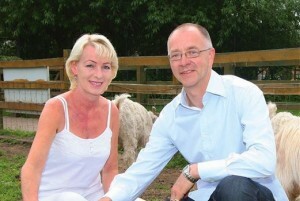 Facilities and apartment, food, juicing, supplements, additional treatments and care. Of course we would not want to forget the infamous coffee enemas too. Additionally the importance of removing stress and Introducing peace and harmony back into our lives. We often have people attending our seminars who share their healing testimonies which inspires and encourages others in their journey back to health. The seminars are informal and we are looking to share information to empower people through knowledge to make informed decisions, with hope and positivity. Please read the following to give you an idea of the medical literature that supports the fact that there are many things that we are able to put into place in order to maximise the innate capacity for the body to heal. This may be simply cutting things out of our lives that are implicated in causing cancer. 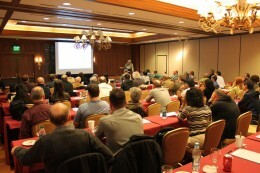 It may be addressing deficiencies in the body or toxicities. To flood the body with what it is crying out for and to build healthy cells to produce energy and metabolise nutrients efficiently. Following the loss of my father, mother, father inlaw, uncle and friends to cancer who all went down the medical route, I felt that there was something incomplete in empowering people to their maximum healing potential. We firmly believe that the more knowledge a person has, the better informed decisions they will be able to make in their own health challenges. What is a major concern is that much of this knowledge appears within the medical literature and yet is not being communicated to people by the current medical system. If there is evidence within the medical library of scientific literature that could help people to empower themselves when they have cancer, then we feel this should be openly and freely shared. These are not simply our opinions, as you will see from the links to PubMed below. What are cancer patients often fed on oncology wards? Corporately produced, processed, old, microwaved, tinned foods that have long shelf lives. Irradiation kills the live enzymes and good bacteria on food produce which are essential to the body and its metabolism, but these enzymes naturally break down the food so the shelf life is limited. Natural food goes off more quickly because it is good and the bacteria naturally wants to eat it. However chemically treated or irradiated food cause anti enzyme action and anti-nutrients as the bacteria within our gut cannot break down the food and gut linings can often be affected with inflammation through these toxicities. Sue and I firmly believe that the more knowledge a person has the better informed decisions they can make on their journey back to health. Our seminars are free, but if you would like to contribute to what you have freely received this is appreciated which help to support us to support people and continue our passion to empower people in their journey back to health. Come along and find out more about the health principles we and many other people are choosing to do in our endeavour to change the bodily environment to one in which chronic illness and cancer struggles to thrive. We share Sue’s testimony along with many other peoples testimonies of what they chose to do when told there is no hope. We share science based informational studies from the medical literature concerning major lifestyle and dietary issues that are actively anti cancer. It is important to also understand foods and lifestyles on the opposing side which contribute to promoting and feeding cancer. Consider the following: If we are endeavouring to heal but do not stop doing the things that are known to be implicated in the cause of cancer then is this not like trying to dry our selves off whilst still in the shower. Einstein said the definition of insanity was to do the same thing over and over expecting different results. Cancer is non-existent in various cultures around the world. These cultures have been scientifically studied and documented in a book called the Blue Zones. Is it not logical to look at these cultures and follow their lead? Hear testimonies of various people who have successfully used natural principles in their healing journey. Be inspired and encouraged with a new lease of positivity and hope. We share information to empower people in playing a significant part within their own healing journey. This empowerment comes through learning, understanding and implementing factors which are massively influential in terms of whether a person expresses a genetic predisposition to cancer or chronic dis-ease. This is what is termed as epigenetics. Epigenetics involves addressing many causative and influencing factors that are within our control in nutritional, environmental, and lifestyle. It is learning how to boost the immune system, detoxifying the body, sourcing nutrient dense non toxic foods, supplementation, hydration, sleep, stress, emotional issues etc.etc. It is our understanding that cancer is a holistic issue with no single snake oil cure, so shouldn’t we be dealing with the whole person, mind, spirit, body and soul on the journey back to health and wellbeing. We share Sue’s healing testimony when she was given no hope, along with the principles and protocols of what we chose to do and why we chose to do them. We encourage people to work alongside professional healthcare guidance whether naturopathic or medical. We firmly believe that the more knowledge a person has, the more informed decisions they can make. We also encourage people at our seminars to share their own healing testimonies in order to inspire, encourage and give hope to other people going through cancer. Our seminars are in no way to undermine doctors and the many wonderful things they do, but more to support and compliment the NHS through knowledge of cancer prevention and convalescence enhancing strategies. 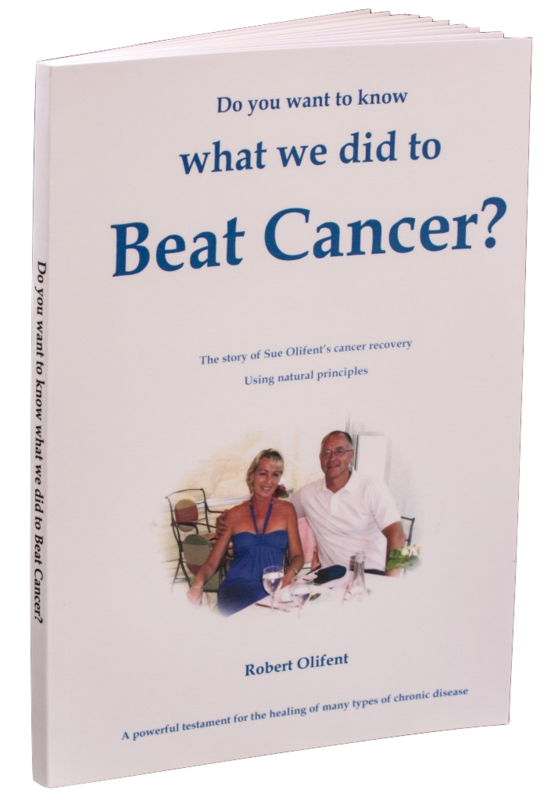 Learn about simple, lifestyle and nutritional tweaks to keep ourselves and our families in good health and to prevent being on the wrong side of the current one in two cancer statistics. 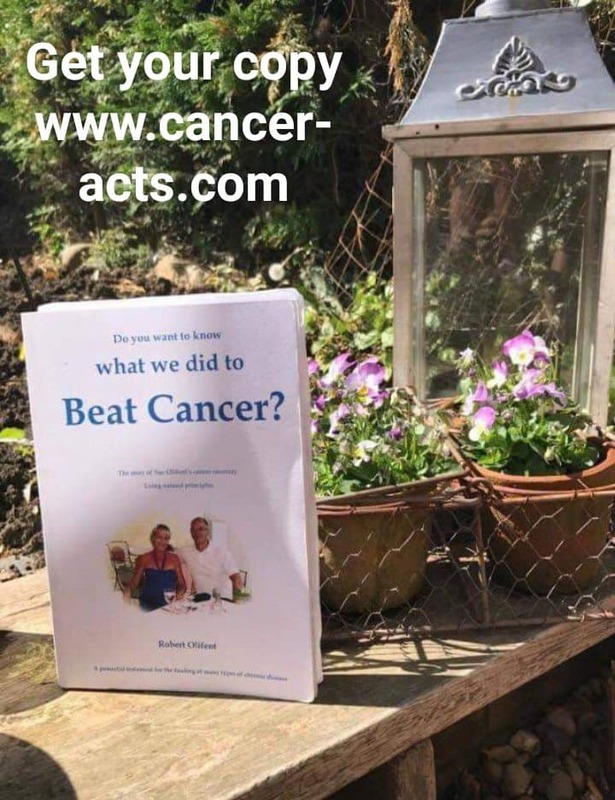 Our aim is to give much needed positivity and inspiration to people living with cancer or chronic illness by empowering them with health enhancing knowledge. In summary, there are ways of sourcing, preparing and enjoying delicious foods, many with scientifically documented health promoting qualities that will assist in keeping you and your family healthy and free from dis-EASE. 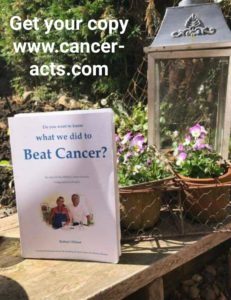 We do not charge for our seminars workshops or events as we simply have a passion to support people with cancer using natural principles. We share the principles we adopted in building the immune system and implementing functional medicine (natural protocols) to change the bodily environment that supports cancer to thrive. If you would like to help our ‘Wake Up to Health’ campaign by contributing to what you have freely received, then you may do so by clicking the contribution picture below. Thank you for supporting us to support you.